Happy Diwali & A Prosperous New Year to one and all! This week, people of Indian origin all around the globe are celebrating the festival of Diwali (http://en.wikipedia.org/wiki/Diwali) – the festival of lights that marks the triumph of good over evil. I pray that all the readers have a Very Happy Diwali and also have a Prosperous New Year ahead! 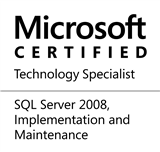 This entry was posted in #SQLServer, Blog, Imported from BeyondRelational and tagged #SQLServer on October 26, 2011 by nakulvachhrajani.